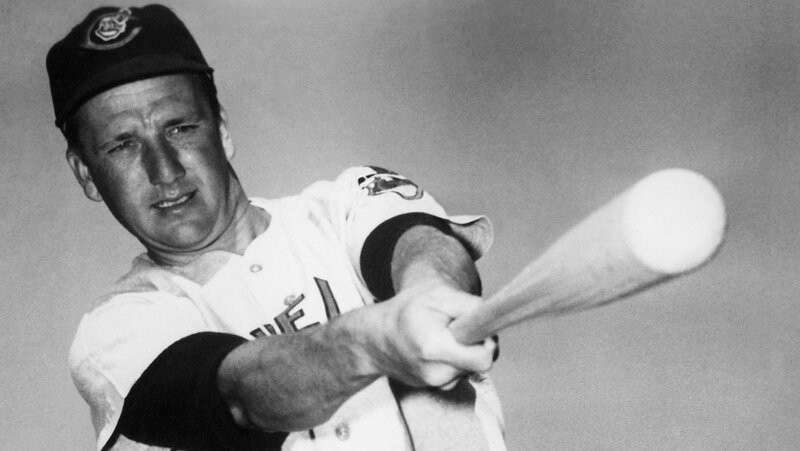 Ralph Kiner: Doing what made him a Hall of Famer. I (Evander) am endlessly fascinated by temporal coincidence: I believe it’s called synchronicity. Permit me to play kowtow to my whimsy. As we celebrate the Beatles arriving in the U.S.A. fifty years ago, we say farewell to slugger Ralph Kiner, who was a spry forty-one at the time. Kiner’s Korner, to those of my generation, was the name of the New York Mets postgame show. To Pittsburgh Pirates fans of an earlier era, it designated the distant area that Kiner hit ’em: where they ain’t. Hit them he did. On retirement, Kiner was number six on the all-time home-run parade. He has since been passed by who knows how many? He still holds the record for most blasts (215) over the first five seasons. “Singles’ hitters drive Fords. Home-run hitters drive Cadillacs.” These Kiner beaux mots reveal a lot. Roger Maris took the concept to heroic levels roughly fifteen years later, setting a single-season record—as Paul McCartney took up the bass in Hamburg. Kiner was not only a slugger but a figure of enormous glamour, even as he played on some of the worst teams (Pirates, Cubs; the Indians were better) ever—and probably broadcast the all-time worst team of the 20th century: the 1962 Mets. He was pals with Bing Crosby. He dated a young Elizabeth Taylor in 1949, as well as Janet Leigh later. I once got a thrill parking next to Kiner in Cooperstown. Yes, he drove a Cadillac. This entry was posted in Baseball, Right Off the Bat Website and tagged Chicago Cubs, Cleveland Indians, National Baseball Hall of Fame, New York Mets, Pittsburgh Pirates, Ralph Kiner, Roger Maris. Bookmark the permalink.